Ocean Beach is a popular location and it is good for numerous beach activities. Anyone intending on going into the water should seek advice from the Lifeguards and swimmers should always stick to the patrolled area. Ocean Beach is a popular swimming location with many residential homes located in short driving distance. There is regular swell at the Ocean Beach and there is a nasty shore dump, strong rips and currents. Swimmers need to be extremely careful and should always swim in the patrolled area. Surfing is very popular at Ocean Beach and is surfed whenever there are good waves. The beach often has good bars that form near both the northern and southern headlands. 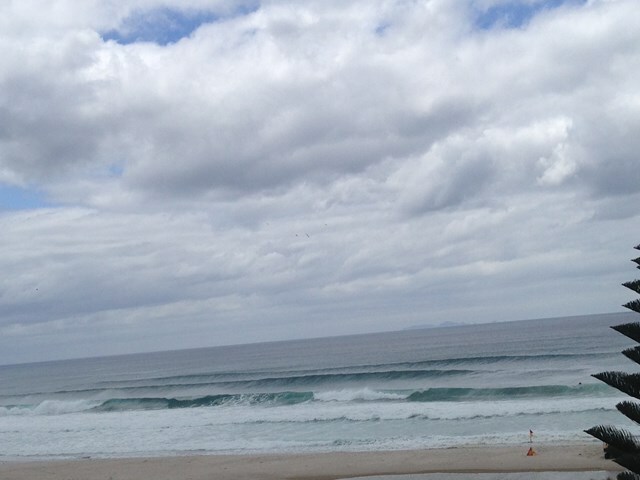 The shore dump is very powerful and surfers should avoid getting tangled up in this area. 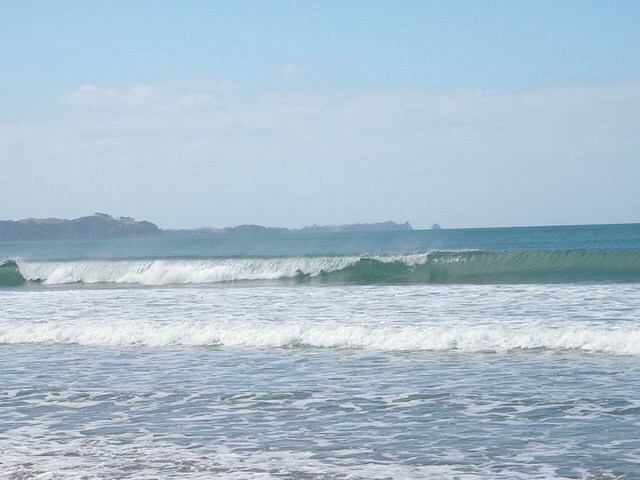 The beach can be surfed on any tide and is offshore in a southwest wind. Surfcasting from the beach can be productive with kahawai and snapper commonly caught. There is no boat ramp and launching small dinghies from this beach is very difficult. Rock fishing from the southern headland is possible but anglers need to be very careful as surf conditions are frequently hazardous. There are good offshore spots to fish but boats have to be sailed here from other areas. Diving around the headlands and islands is good but once again care needs to be taken as there are strong currents. The beach is our favourite playground, but it can also be a dangerous place. Learn about the hazards at Ocean Beach Whangarei and be prepared so you and your family can enjoy the sun, sea and sand safely this summer. 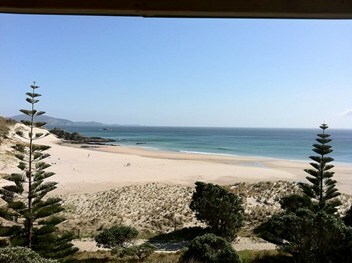 Ocean Beach Whangarei is a patrolled beach. Whangarei Heads Beach is patrolled on Saturdays, Sundays and Public Holidays from 11:00am to 4:00pm between 20 October 2018 and 25 November 2018. These hours are extended to 11:00am to 5:00pm between 1 December 2018 and 24 February 2019. Hours return to 11:00am to 4:00pm from 2 March 2019 to 22 April 2019. A Regional Lifeguard Service is provided Monday to Friday from 24 December 2018 to 25 January 2019 between 10:30am and 6:00pm. 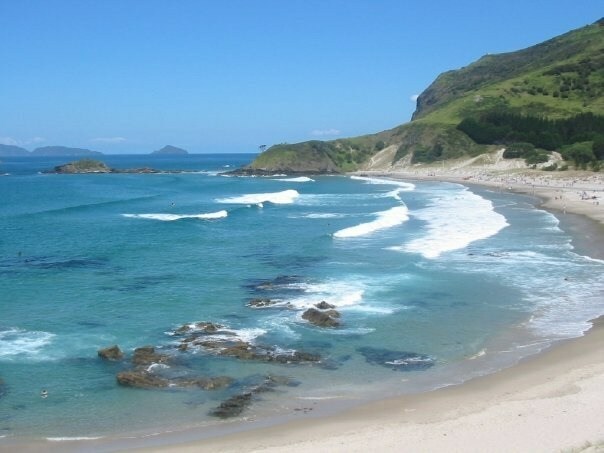 Ocean Beach is located 37 kilometres southeast of Whangarei and just north of Bream Head. Ocean Beach is the home of Whangarei Heads Surf Life Saving Club and the Surf Club is located well back into the sand dunes at an elevated position that allows a good view. 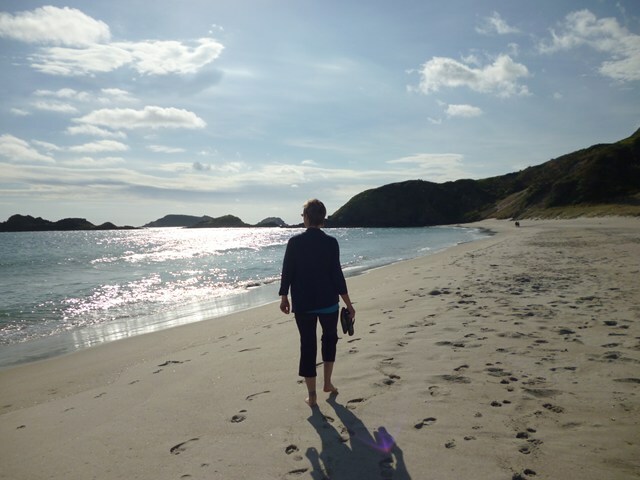 The beach is 400 metres in length and there is no easy foot access. The view from the main parking area is excellent and a good idea of the days conditions can be gained from here. A stream mouth runs out over the centre of the beach and will often form a pond behind the beach as it struggles to make its way to the ocean. The beach is made up of light coloured sand and is bound at each end by rocky headlands. The southern headland is considerably larger and there two small islands just offshore. The Bream Islands are also sited off the southern headland about 1.2 kilometres.